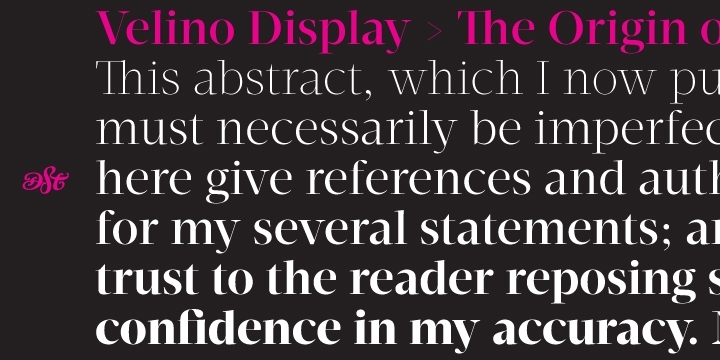 Velino Display is a much need serif typeface published by DSType. Available in 12 styles and weights (from Thin to Black), accompanying italics, Velino Display includes 17 OpenType features including Lining Figures, Standard Ligatures and extensive Latin language support. You just cannot miss it! A font description published on Friday, September 9th, 2016 in DSType, Fonts by Andrei that has 2,171 views.